Paraguay AG Invest is a marketing and sales partner of the Agri Terra Group. 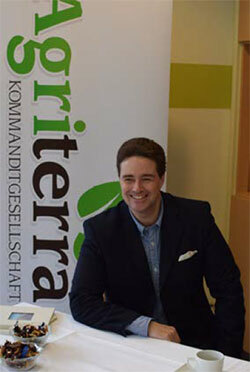 Agri Terra KG (the umbrella of the group) is a general partnership under German law. General partner and chief executive Carsten Pfau has unlimited personal liability for the partnership. Agri Terra KG is domiciled in Munich, in the state of Bavaria, and operates in central Europe and America. Company registration number is HRA 107824. The partnership has a flat hierarchy. It is managed by Carsten Pfau and his brother Michael Pfau, both of whom have business degrees. The group has two Paraguayan associated companies, Agri Terra Paraguay S.A. and CitriPar S.A., as well as an associated company registered in Panama, Agri Terra Panama S.A. Furthermore, the group is invested in several companies in the agro sector in Paraguay. 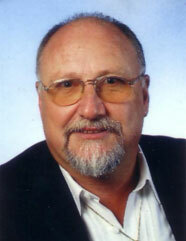 I am a German educated banker who studied during the period of solid money systems as the Dollar was partially covered by the Gold of the U.S. My strong conviction is that money should be covered by something, maybe the increase of the gross national product, by gold, silver or something else with an intrinsic value. I am very sure, that money printed by the central banks like there is no tomorrow, will lead to an eventual catastrophe. I am 75 years old and I have learned the hard way, post – WWII Germany, and by the devaluation of this artificial money called Euro, which has lost 58% of it’s buying power since the start of this fiat currency. So, in the last 35 years, I preferred to invest in German commercial properties where I developed closed-end private real estate funds with more than 750 million Euros. But as the prices of this market segment exploded in the last years, I have sold my participations and looked for another asset class which is not in a bubble mode, and which is delivering reasonable yields. There are not many assets with these qualities: Intrinsic value, and yield. But, I have found these qualities in agricultural investments. The markets for agricultural products, nourishment, and water is growing along with the increase in the world population, and the small but steadily increasing number of people entering the middle-class who are looking for better quality food. And as I am convinced that the interest rate situation will change in the not so far future (and I know the negative consequences of rising interest rates), I was looking for a longer period of good income from my investments, as fixed interest investment with low interest rates have no future. So, I started investing in agricultural assets. I am not a farmer, so I had to find a partner with farming experience, and with a similar understanding of economics. I have found this partner in the German company AGRI TERRA KG, where a member of the Pfau family is the general partner. The family is working with investments in the Latin American country of Paraguay. Paraguay has been very much influenced by German immigrants in the last 100 years, like the Mennonites, who are now managing most of the agricultural companies in this country. You see, I am very proud to be a German, and to work with Germans who mostly have an economic approach which is patient, but very successful. What convinced me as a banker, was the fact that they (the family) are developing their projects without any money from banks or financial institutions, and hold the assets for themselves. So my investments with them do not depend on sales success, which most of the other developers have to calculate. If the partners are developing on their own risk, then I prefer that type of investment. My pension payments of the German government are not very high; so I decided to invest in the Orange Plantation which is delivering good yields in the best and tested places in Paraguay. Agri Terra KG is managing my lots and I know they will do that successfully, as they are paid depending on the yearly results and harvests. Also, for a long time, they have been managing my cattle as well, which I bought from them. The Cattle are raised on the land of specially trained ranchers. They (the Pfau family) are doing this work for more than 18 years in Paraguay, and they have applied their German attitude to make this successful. My Cattle is a shorter term investment solution than the oranges. The cattle return on investment (ROI) is only two years. So far the yields have been relatively high. That allows me some extra flexibility on those occasions when I decide to move my money into other assets. This cattle investment gives me the chance to switch my money in a shorter time into other assets if necessary. The Paraguay economy is stable, and strong, and is mostly based on agriculture. Their climate is suitable for a variety of agricultural investments. Their energy costs are relatively low because of their important participation in the largest hydro power station in the Americas. The labour costs are the lowest in South America and many international agricultural enterprises have their affiliation companies there. Paraguay has a stable government and business culture, and is one of the largest exporters of cattle and other agricultural products in the world. I currently live in Panama working with a commodities firm but all of my agricultural investments are in Paraguay.